Marketing offers the opportunity to build your brand online. LaBeau Media is a Digital Marketing agency comprised of experts in Pay-Per-Click Advertising, Social Media Management, Content Creation, SEO, Email Marketing, Press Releases, and Search Engine Marketing. Social Media platforms are no longer just for the young and the restless. In fact, 72% of all internet users are active on Social Media. Studies show that customers are more likely to purchase from companies that have an active Social Media presence. At LaBeau Media, our team of specialists understand that businesses today need help setting up and maintaining their social media accounts. That's where we come in. With our extensive knowledge, we can boost your company's online presence with our powerful strategy that will get you attention and massive amounts of traffic to your website. Our methodologies easily give you large numbers of loyal followers. 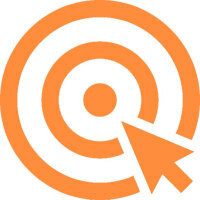 ​We look at your core content marketing strategy and tactics and work with you to make improvements. ​​Just fill out the contact form and we’ll set up a call or email to better understand your challenges and figure out how LaBeau Media might help. From there, we’ll put together a customized proposal for services based on your specific needs and budget.